Susan created Thrive Yoga more than 14 years ago and has lived a healthy lifestyle for more than 30 years. Thrive Yoga Center is a community-driven wellness center focused on programs and events to inspire and support a healthy and joyous life. Susan created Thrive Yoga after several life events made it clear that her trajectory was successful but lacking freedom, joy, and vitality. Susan traded a high-pressured and lucrative corporate career to become a wellness entrepreneur before yoga and wellness were popular. In creating Thrive, many of the joys were unexpected — the Thrive community (thousands of friends and students), a forward-thinking peer group, and the personal health effects of consciously breathing ALL DAY LONG! Susan has received awards as a business leader in Maryland including awards in leadership, entrepreneurship and community giving by: City of Rockville, Rockville Economic Development (REDI), and Maryland Women’s Business Center. Susan’s personal story of creating Thrive Yoga and the ThriveStyle has been featured in The Washington Post; The Gazette; WUSA News and other various local newspapers and TV news. Susan regularly mentors and coaches aspiring business owners and teachers. As the Yoga Training Director, Susan (E-RYT500, YACEP) has created training curricula that integrate yoga with complementary techniques from science, philosophy, and spirituality. Susan’s experience in teaching integrated methods for human change and transformation spans more than 16 years and 10,000 hours. Training curricula is current, fresh, and exciting while still being rooted in the foundational study of yoga (experience) and research (knowledge). Numerous practices and methods invite the individual student to find their formula to lead a joyful life regardless of the conditions of the outer world. Susan has studied and practiced various yoga styles and practices for more than 25 years, including: Baptiste Power Vinyasa; ISHTA; Kundalini; Iyengar; ViniYoga; Yin; Restorative; Prenatal; Yoga Nidra; and Therapeutic Yoga. 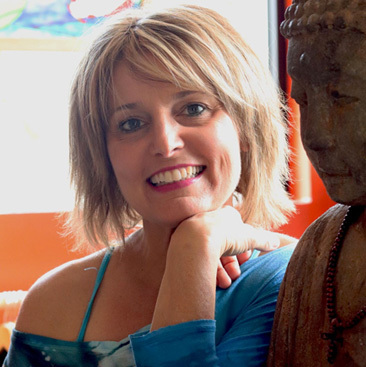 Originally developed curricula from Susan in the Thrive Trainings include: Dynamic Sequencing; Assisting and Adjusting Students of All Ages; Anatomy; Chakras and Subtle Body; Neuroscience; Quantum Healing; The Effects and Solutions to Stress; Thai Massage; Emotional Intelligence; and Sound Healing. Thrive Yoga Trainings have graduated more than 500 yoga teachers who today continue to uniquely influence yoga in America and around the world.